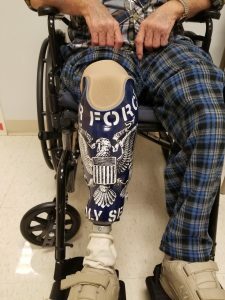 All amputees need time to adjust to their amputations, including those who undergo below-the-knee procedures. As you take your time to get used to this change, our specialists help you regain mastery of balance and movement concerning your below-the-knee prosthetic leg. We offer physical therapy as part of our prosthetic services, to ease your transition. From the simplest to the newest technology, we offer the entire spectrum of prostheses. Each amputee has unique needs, whether he or she needs to work, participate in sports, or get safely and comfortably through the home. Regardless of your lifestyle, we can create a prosthesis to match. No matter what your prosthetic need might be, we customize your prosthesis to fit your body precisely the way you need.